Next time you are craving Chipotle or wishing the taco truck was close by, whip these up instead. 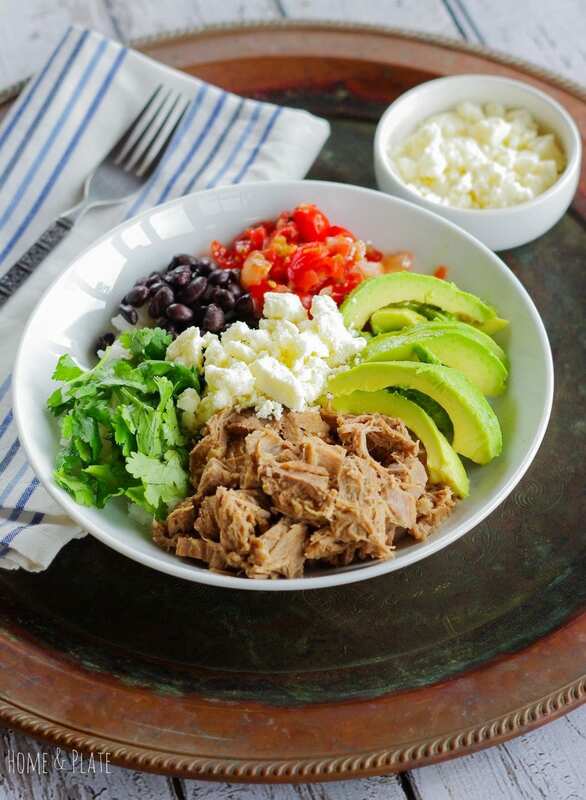 These bowls have all the ingredients necessary for a delicious Mexican dinner. Can I use leftovers for this recipe? I typically make these bowls as a follow-up to a beef brisket dinner from the night before. I usually make enough brisket to last the rest of the week. 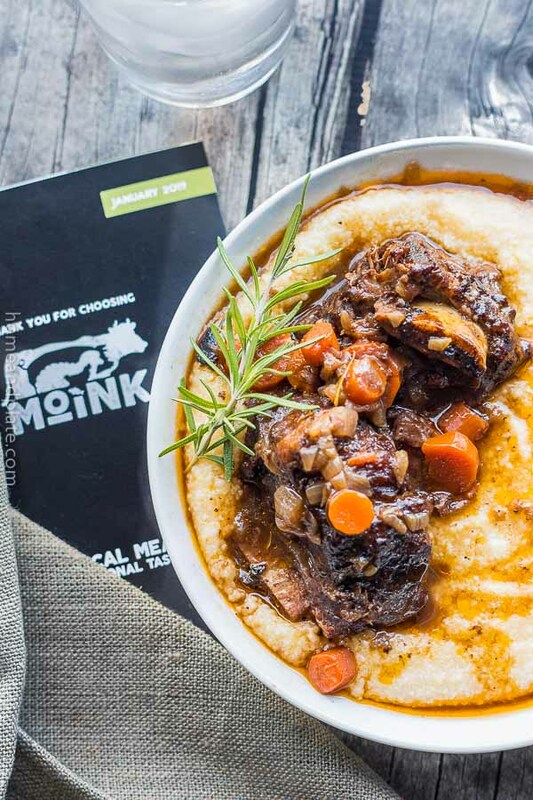 Slow cooked and savory, the beef brisket is fork tender and delicious. My kids will gobble this up. That’s why I like to make plenty for taco night, which we enjoy regularly. My husband and I love beef barbacoa but our children prefer their beef brisket without the added Mexican flavors that barbacoa calls for. So when I make these burrito bowls, I make sure the pico de gallo is authentic with plenty of garlic, fresh lime juice and jalapeños. Each bowl gets a large spoonful of rice. Any kind will do. 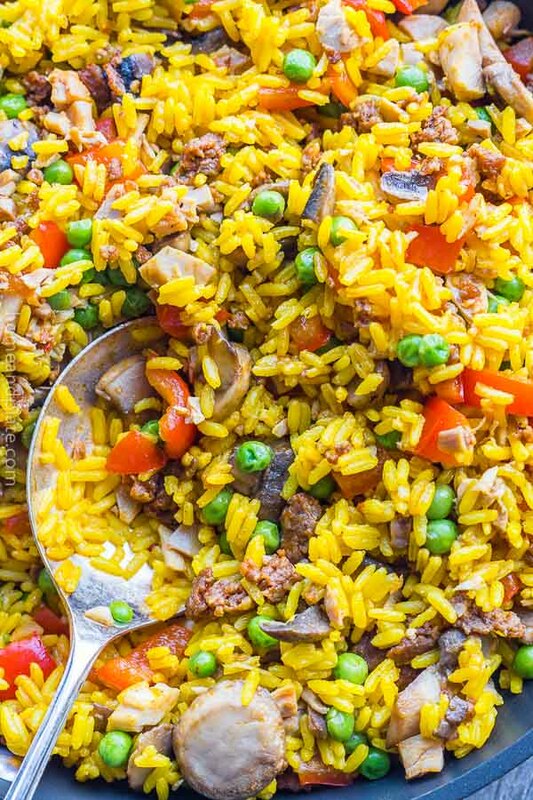 We’ve been known to enjoy our bowls with Spanish rice, saffron flavored rice and even plain white rice. Rice is an easy grain to make ahead of time and warm up in the microwave. 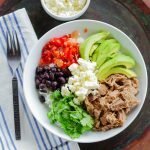 The hubby and I like to garnish our burrito bowls with shredded beef brisket, fresh avocado slices, black beans, pico, cilantro and queso. If your kids are picky eaters like mine sometimes are, then switch up your toppings to what you know they’ll eat. My kids love their bowls with shredded beef, corn cut off the cob, fresh tomatoes, iceberg lettuce and shredded cheddar cheese. This is a great recipe for creating a burrito bar that serves a lot of people. Shredded beef, shredded pork and shredded chicken can easily serve as your main burrito ingredient. A large selection of toppings lets each person individualize their bowl. Serve these up with any one of my margaritas and get the party started. Who needs Chipotle when homemade is so much better! Place the beef brisket fatty side up in a roasting pan or crockpot. If using a crockpot you may need to cut the brisket to fit. Pour in the french onion soup with 2 cans of water. Using a slow cooker or the slow cook function on your stove, allow the beef brisket to slow cook on low for at least 5 hours. Otherwise use the bake function on your oven at 225°F. After 5 hours, spoon off the layers of fat from the beef brisket and shred the beef using two forks. Return the shredded beef to the pan or pot and allow to cook in the broth for at least another hour. Once the brisket is ready to serve, use a slotted spoon to transfer it from the broth to a bowl. Fill the bottom of four bowls with a half a cup of rice in each. 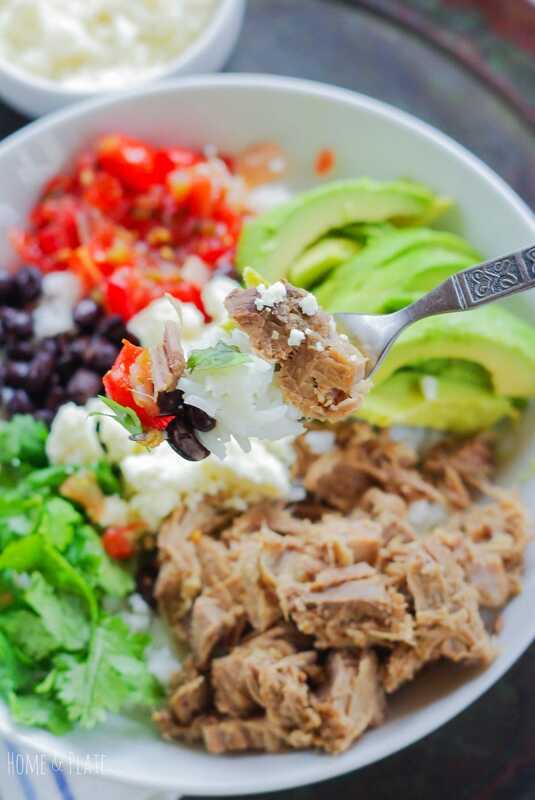 Arrange the shredded beef, avocado, black beans, queso, cilantro and pico de gallo on top of the rice. If you're not using leftover brisket then you'll need at least a 2 pound cut of beef brisket for these bowls. 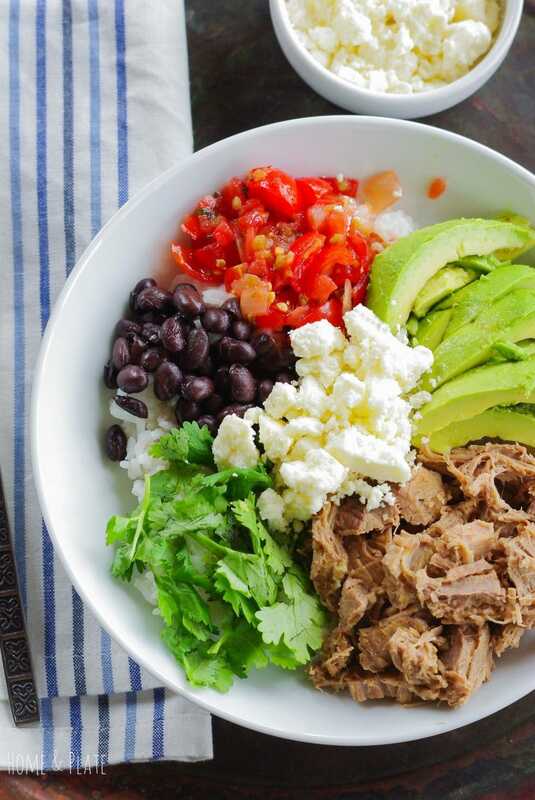 Burrito bowls are such a great, easy way to get dinner on the table — and everyone can customize to suit their tastes! Love that! Wow, does your burrito bowl look appetizing! Looking forward to putting some together. Thanks. Thanks Dan. 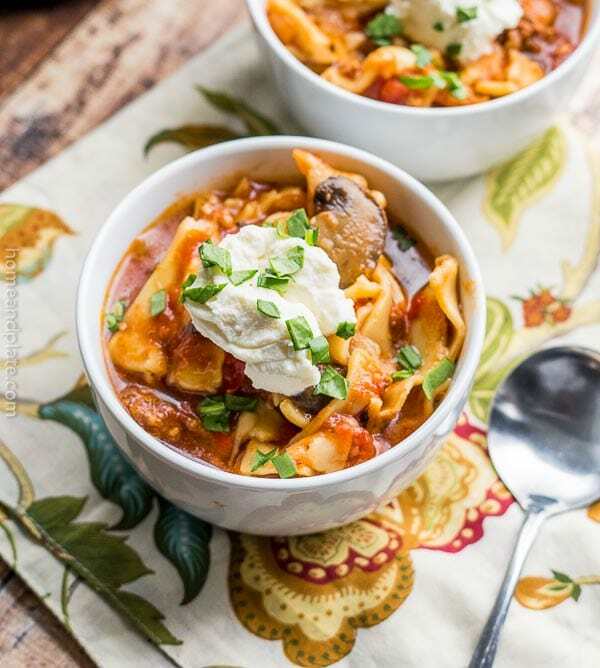 It is an easy dinner for anytime during the week. I agree…thanks so much. My kids love this too especially when they can chose the ingredients. I love burrito bowls! This looks so easy and yummy! 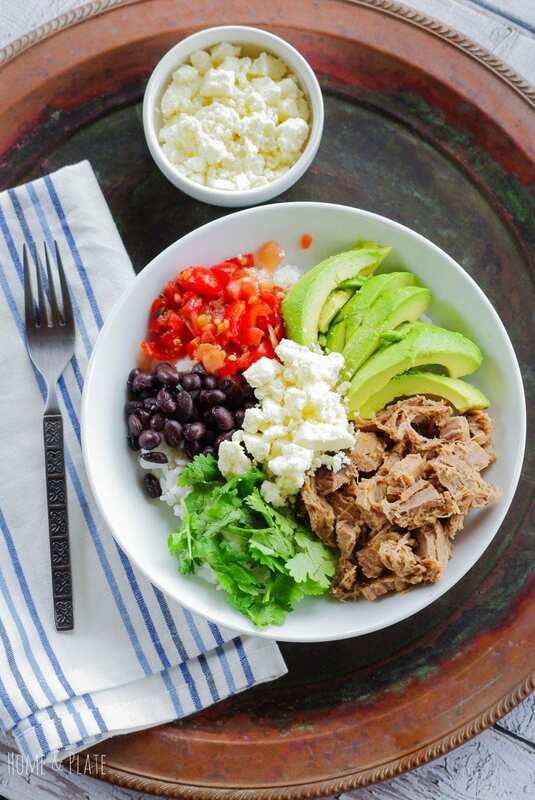 yes…burrito bowls are a favorite in this house. Hope you like it. I totally agree Michelle. And it’s so fun to be able to mix ingredients to your liking. Thanks for visiting.